District 21 – New Business Meeting Location – Lincoln Nebraska A.A.
District 21 had a busy and productive 2012 and we have lots of plans for being productive and being of maximum service in 2013 ! 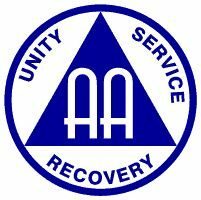 We are planning a workshop in April, as well as another Unity Picnic and a GSR workshop toward the end of the year (more shall be revealed as dates and specifics are determined) and we look forward to getting as much group involvement as possible and enhancing each other’s sobriety! **Go into the entrance closest to the parking garage facing South Street and go to the basement. There are stairs as well as an elevator to go to the basement. The groups in our District felt this would be a more accessible location for any member who would like to attend our district meetings ! We welcome anyone interested in seeing what we do in our district meetings or want to get more involved to attend. Thanks to Tom B (cafeteria group) Intergroup as well as Marcella at the Central Office have been notified of this change but we would like to get to word out as soon as possible! We also have an open service position for Alternate DCM for 2013. This person would need to be available to act as DCM in my absence; which would include possible travel to Area 41 assemblies in North Platte. Please spread the word or let me know if interested in this position. Thanks for allowing me to be your District 21 DCM and please contact me with any questions! Have a Safe and Sober 2013!